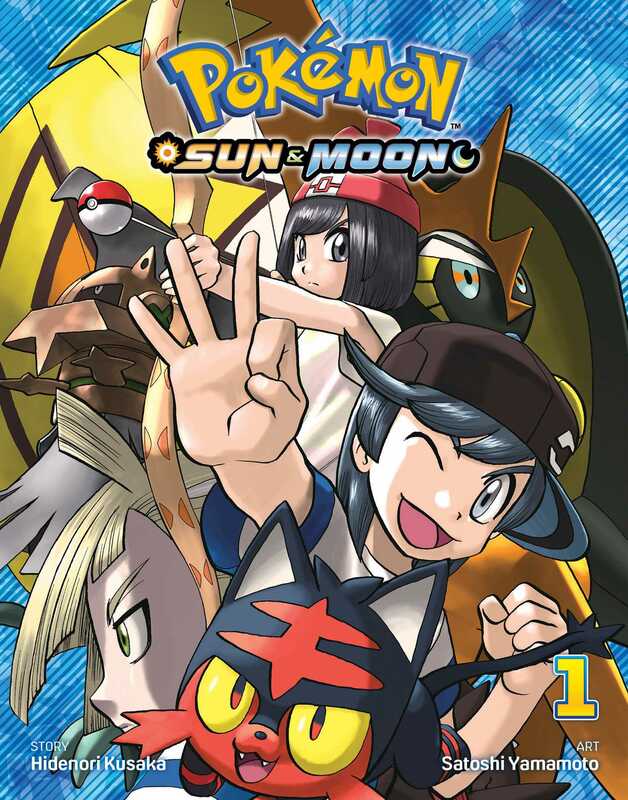 Viz Media to publish new manga series 'Pokemon Sun & Moon' – AiPT! A new all-ages Pokemon title coming soon from Viz. San Francisco, CA, April 11, 2018 – VIZ Media, LLC (VIZ Media), a premier company in the fields of publishing, animation distribution, and global entertainment licensing, add a new series to its POKÉMON publishing catalog with the release of POKÉMON SUN & MOON on May 8th. POKÉMON SUN & MOON is rated ‘A’ for All Ages and will be released exclusively in print with an MSRP of $4.99 U.S. / $6.99 CAN. The series features the work of artist Satoshi Yamamoto and writer Hidenori Kusaka. Future volumes of POKÉMON SUN & MOON will be published by VIZ Media every four months. In this new Pokémon story arc, Moon is on her way to deliver a rare Pokémon to Professor Kukui in the Alola region when she meets his good friend Sun, a courier entrusted with a special Pokédex. Sun offers to safely deliver Moon to the professor’s lab… But then they tangle with a group of grunts from Team Skull and are attacked by a mysterious Pokémon! What is this sparkling stone the mysterious Pokémon leaves behind…?